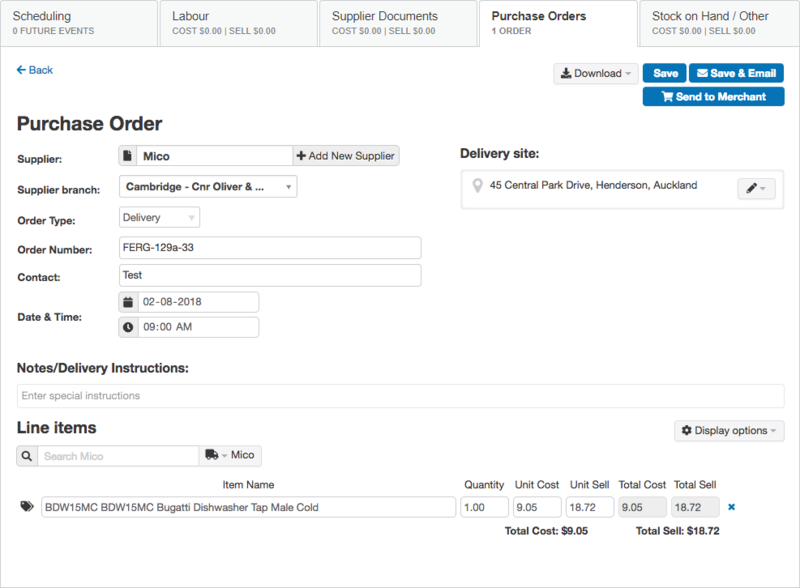 You can now place a Purchase Order from your Fergus account direct to Mico. In you haven't setup the Mico integration yet, here’s the link with the instructions. If you're already sync’ing invoices from Mico, then this feature is automatically turned on and you can start creating PO’s to send to Mico through Fergus. Once you add line items, you will only be able to add items from the Mico pricebooks.